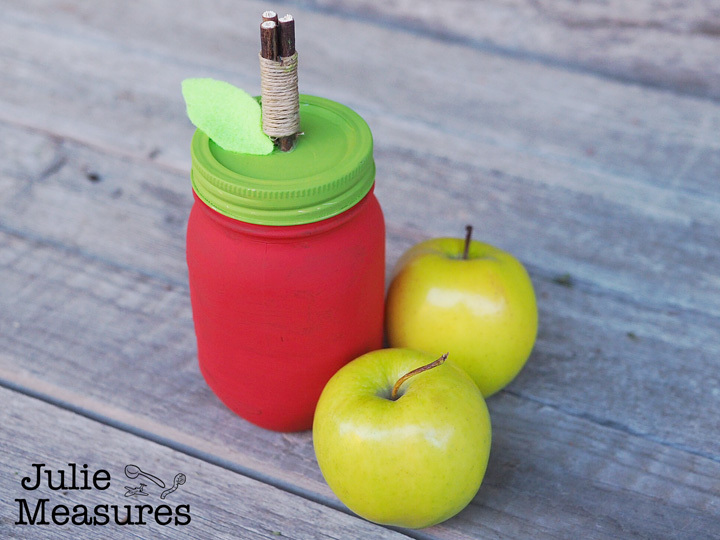 Painted Apple Mason Jar – It’s a Bushel of Fun! Red, green, yellow, even pink, everyone at my house has a favorite apple. Some like sweet apples, some prefer tart apples. I kind of love that one fruit has so many options. I, however, have possibly found my new favorite apple, but this one isn’t edible. Fall and back to school conjure lots of apple images. An apple sitting on a teachers desk. Trees full of fresh apples. Sadly, no apple trees in Texas, but I do love when apples are in season and seeing mounds of them at the grocery store. 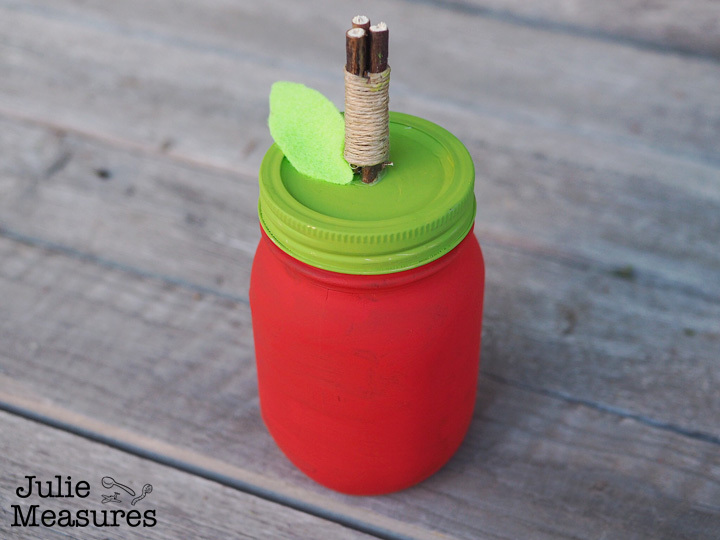 Start by painting the outside of the mason jar red with acrylic paint. 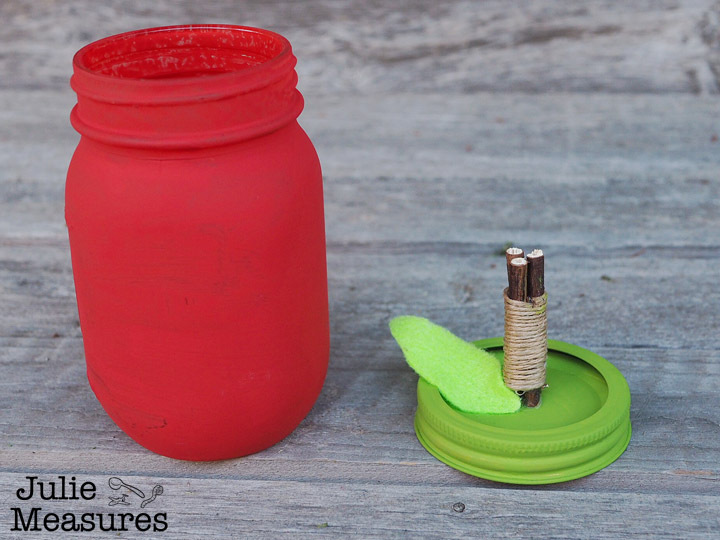 Paint the mason jar lid (both parts) green. While the paint is drying you can cut out your green leaf from the green felt and work on making your apple stem. I used some craft sticks, cut into 2″ long pieces. I wrapped some twine around the sticks to keep them together. 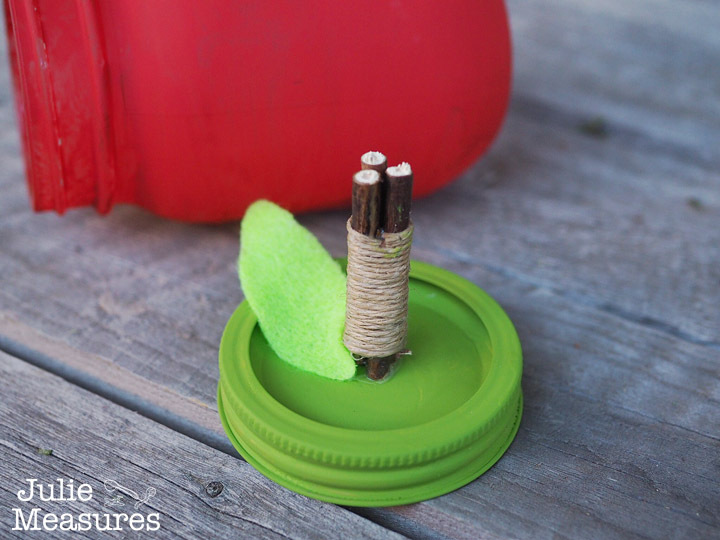 When the paint is dry glue the ‘stem’ and the green felt leaf to the top of the mason jar lid. I thought it would be fun to fill my apple with some treats. 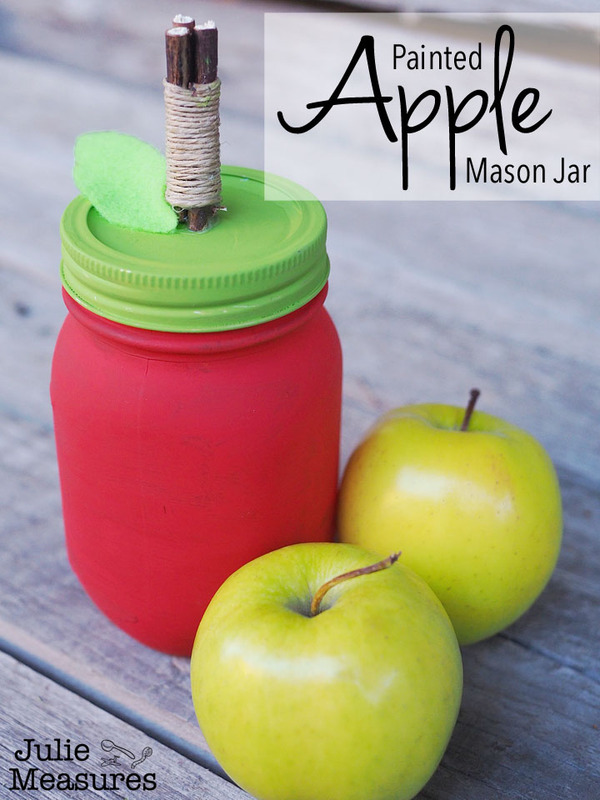 Because the outside of the jar is painted in acrylic paint the apple mason jar is not washable. So I knew my treats needed to be wrapped. I made a batch of peanut butter and honey bites and then stored them in a resealable plastic bag inside the jar. 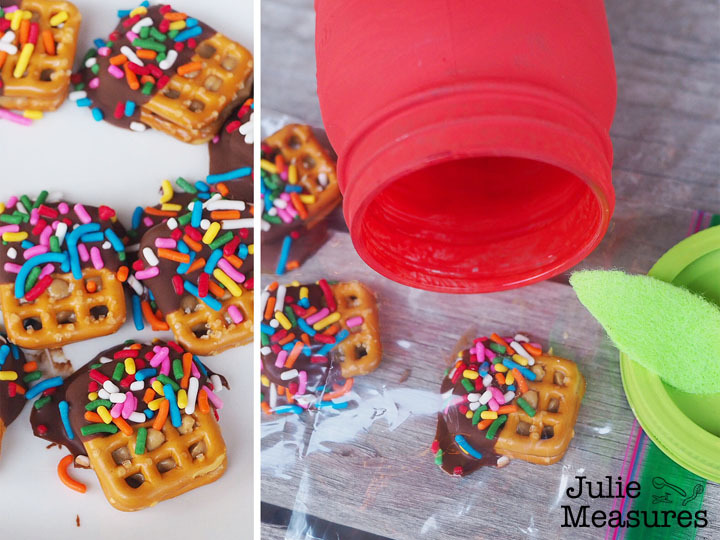 Place a dollop of peanut butter on top of half the pretzels. Press a second pretzel on top. In a microwave safe bowl, melt the chocolate chips and coconut oil in 20 second bursts. Stir between bursts. Repeat until mixture is smooth. Dip each pretzel sandwich into melted chocolate. Top with sprinkles while chocolate is still melted. Store in airtight container (like your apple)! What can I say, I really like puns. Looking for some delicious edible apple ideas? Try this Cream Cheese Caramel Apple Ring Bake, Chocolate Caramel Apple Slices, or Fried Cinnamon and Sugar Apple Rings.